Arriving into Nice, the second most busy tourist destination in France (after Paris of course), my first impression was a busy grimy city. Walking the 100 metres to my hostel from the train station I saw about three different homeless people begging for money in that short stretch. However the sun was shining and hot so after chucking my backpack onto a bed, I raced down the main street dodging more homeless beggars towards the beach. Only to find a grey stony beach at the end. I still stretched out my towel and basked uncomfortably in the sun. Walking over the stones to cool off in the sea turned out to be quite agonizing on the feet. But at least everyone else on the beach was doing the same awkward gait as me with a pained expression. Later after I headed back to the hostel, I learned from the receptionist that most Nice residents never go to that beach as it is actually quite horrible. Instead there are some gorgeous sandy beaches only a short train ride away from the city. Thank gawd I thought! I treated myself to a restaurant meal that night for a change. Walking back along the street after the sun had set to my hostel, there were a few lone French guys that called out to me in a creepy suggestive manner. I did not feel terribly safe and was glad that at least my hostel had only been a few minutes walk from the restaurant. I felt unsafe enough that I did not go out after dark in Nice again during my stay. You can think to yourself that maybe I am being a little bit of a scardy cat. And possibly I was. But being a lone female does make me a target which in certain places and times can be dangerous. I would rather be a sensible scardy cat and be safe, than end up as the attacked and raped NZ tourist in the news. It is the same with going out partying in a foreign city. I have to be careful to choose when I want to join in with a pub crawl as my safety comes first. I usually only consider going out if I make another female friend at the same hostel who is happy to buddy-up with me so that together we can make sure we both get back to the hostel safely. Being drunk with no idea where you are or what your hostel is even named doesn’t sound fun to me. Partying is also expensive so by being choosy, it saves my money for better travel experiences. Talking to my roommates the next morning, they had been out partying as a group of three and were still harassed and followed by creepy French guys on the way back to the hostel the previous night. Freaky. So far Nice wasn’t giving me the best impression after the relaxed beauty of Marseille. I started off the next morning by being a tourist and wandering through the old town section near the beach. This is a part of town with those fun twisty alleyways and dozens of little cute shops. Such fun to walk through and good for shopping bargains. 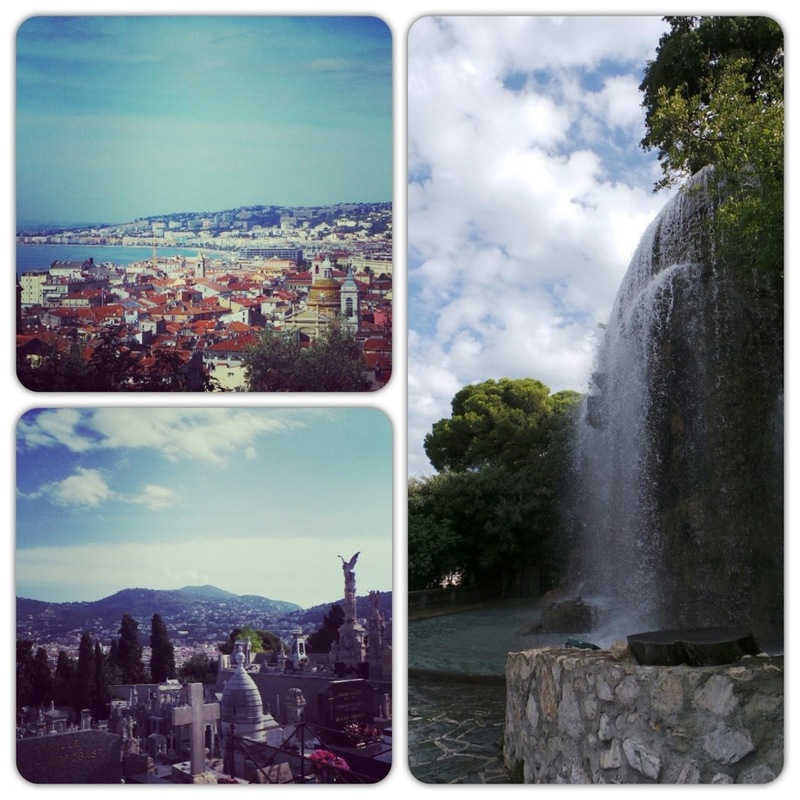 Then I climbed a small hill within old town and admired views of Nice next to a waterfall. The cemetery is also up the hill and contains many beautiful gravestones. I felt that was enough hard work being a tourist and decided to spend the afternoon at a beach outside Nice. The receptionist had told me this was her favourite beach so I had high expectations. And I wasn’t disappointed! It was the kind of bay that is so insanely beautiful and remote that you kinda picture it as the type of place you would go on a honeymoon. And indeed I saw lots of couples having a cute time together. It’s a bit of hard work to get to the beach but I highly recommend it if you are in the area. You seriously won’t regret it. Catch the train from Nice heading to Monaco. After about fifteen minutes disembark at the last France stop called Cap D’ Ail. From the train station turn left and find some stairs leading towards the ocean. At the bottom of the stairs you will be on a small road. Turn right and walk along the road for a good ten minutes until you find another small staircase leading down towards the ocean again. This takes you right out to a rocky cliff ledge area with a path next to the sea. Turn right on the path and follow it around the cliff face for about another ten minutes. The path ends in the insanely gorgeous small beach bay which is usually pretty empty during the week. There are a couple of restaurant bars, free showers and basic toilets so you can stay for a few hours easily. The train costs about €3.50 each way. This beach was my favourite beach overall for my whole France trip. Go there.. I considered going to Monaco after my awesome beach afternoon with being so close but decided to head back to the hostel for a real shower and leave Monaco for the next day. The next morning I awoke to pouring rain and realised I shouldn’t have been so lazy the previous day and done Monaco then. I had also planned to go to Cannes for a part of the day (being only twenty minutes away by train, why not! ), but the weather was terrible all along the coastline. Ugh. It was a good excuse to chill for a few hours in the hostel and decide what rainy day activities I should do. In the end I decided to make it a museum day but didn’t get the motivation to go until after 3pm! I headed to the Natural History museum first. I wouldn’t bother going there again though. It was tiny with all the info plaques in French. Across the road however was the Modern Art Museum. Usually I am not much of an art person unless it involves paintings with fairies and dragons. But this museum was awesome. There were still some boring paintings of course of naked ladies, but there was also artwork made out dolls heads, crushed cars, and recycled rubbish. There was even one canvas just was just painted blue, called Blue Canvas. Another was a clear plastic human torso filled with creepily real-looking human hands. Artwork ae. I had a great time wandering around. Even the top of the building is utilised with an artistic design and layout with stunning views of the city. There was a garden with funny little gnomes in it. It usually costs €10 entry or free for students. Photography is allowed but I left my camera at the hostel thinking it wouldn’t be (darn!). I was tuckered out by the end. My lazy day had really taken it out of me. Funny how that happens. Takes more energy doing nothing I find. For my last night in Nice, I celebrated with free champagne at my hostel that night. Speaking of the hostel, it was pretty okay accommodation. I would rate it as above average. Rooms are ensuites with decent showers, comfy beds, and free towels. Kitchen is average as is the lounge area. Nobody seems to hang out there except when there is free champagne. Food tended to be regularly stolen out of the fridges unfortunately. Location with closeness to the train station is fantastic, and the dreadful stony beach is only a mere fifteen minutes walk away. In the morning the weather was finally better. 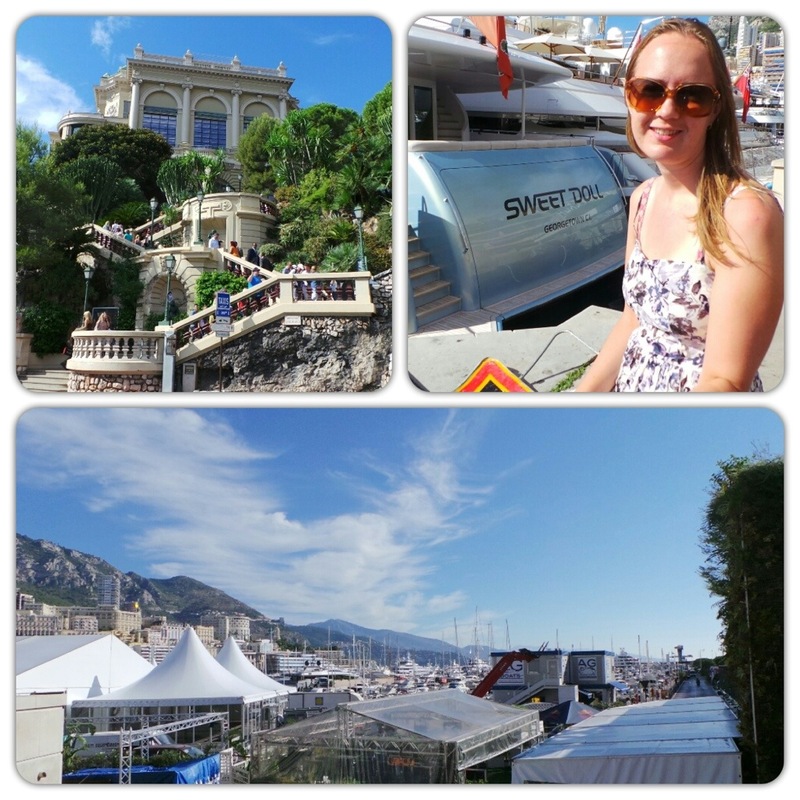 My train out of Nice wasn’t until after lunchtime so I headed to Monaco for the morning. Monaco is a teeny tiny country right on the bottom right of France. It is only about two kilometres big with its own king. The whole country is essentially filled to capacity with the city (Monte Carlo), some mountains, a big casino, and fancy boats. As only the filthy rich live in Monaco. The casino didn’t open until 2pm which was disappointing but I still had a nice time walking along the harbour in the sunshine admiring the fancy pants boats. Getting back into Nice was a pain however. The train goes hourly and I only just missed the one I wanted. I made it back into Nice in time to rush back to my hostel and grab my backpack and then back to the station. But it was still pretty tight timing. Running to train stations with my heavy backpack seems to be my life lately. At least it’s exercise I guess. Another reason I especially wanted to make my train was because the French train company were going on strike that night for the next 36 hours. If I missed my train, then I might have been stuck in Nice for another two nights which I wasn’t especially keen on. Overall I didn’t find Nice as nice as I expected. Being such a popular tourist destination I thought it would be even more amazing than my previous stops in France. 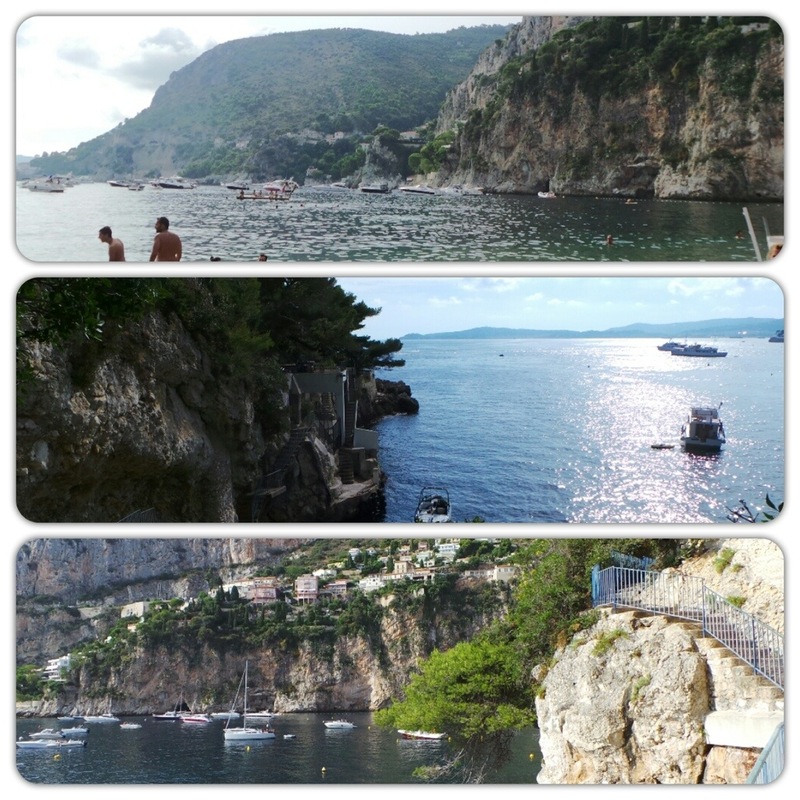 The art museum and the Cap D’ Ail beach were the only parts that I really truly enjoyed. Possibly it would have been different if I had stayed in a fancy hotel in a posher area of town. But oh well! Not everyone gets the same experience and it can’t always be 100% positive for everyone.